Brazil is a signatory to the Paris Convention for the Protection of Industrial Property. The Brazilian Federal Constitution protects copyrights, patents and trademarks rights. All aspects of trademarks in Brazil are governed by the Industrial Property Act (Federal Law 9279/1996). The Industrial Property Act enforces the priority rule, whereby trademark registration is granted to the first applicant who files the inherent application before the Brazilian Patent and Trademark Office (INPI). However, if at the priority date any person or entity has been using an identical or similar trademark in Brazil in good faith for at least six months to distinguish or certify an identical or similar product or service, it will be entitled to registration priority. Only visually perceptible trademarks may be registered, which presents difficulties for non-traditional trademarks. Slogan registration is prohibited, but may be protected under copyright or competition law. There is no need to submit evidence of use. However, a registration will be forfeited on request by any person or entity with legitimate interest. The failure to use a mark after five years from its grant or initiate or interrupt the use for more than five consecutive years after registration is also likely to lead to forfeiture. Using the trademark in a modified form that implies alteration to its original distinctive character is also subject to forfeiture. Well-known trademarks are afforded special protections. The special protection covers a particular field of activity, irrespective of having been previously filed or registered in Brazil (Article 6bis(i) of the Paris Convention). Famous brands (eg, marks registered in Brazil and deemed to be well known) will be afforded special protection in all fields of activity. Such recognition is given by the INPI through a specific procedure, which must declare these marks as “highly reputed trademarks”. Trademark registration may be considered null and void if granted contrary to the Industrial Property Act – for example, if the trademark lacks distinctiveness or is against the requirements of generally accepted ethical and proper practices, or if a third party has prior rights over the sign through a trademark, civil or corporate name, geographic indication, artwork or industrial design. The invalidation of a trademark registration may be sought before federal courts up to five years after the date when it was initially granted. The only exception to this rule can be found in Article 6bis of the Paris Convention. The exception establishes that the statute of limitations does not apply to the registration of a well-known trademark which has been made in bad faith. Trademark infringement is not authorised. There are different ways to prohibit infringement under Brazilian law and a recent Superior Court precedent. As to similar trademarks granted to different trademark owners, the aggrieved party (plaintiff) may file a lawsuit before the federal courts seeking registration invalidation and cessation of use. The federal courts cannot adjudicate issues related to pecuniary and non-pecuniary damages. In such cases, the plaintiff must await the conclusion of the invalidation lawsuit to file a specific lawsuit with the state courts claiming for pecuniary and non-pecuniary damages. Regarding the misuse of a registered trademark, the state courts are authorised to decide about cessation and damages issues related to the use of an identical or confusingly similar trademark to an already registered trademark, in connection with goods or services within the same area of activity and in a manner that is likely to lead to confusion, undue association, deception or error about the source of the goods or services. Moreover, trademark infringement may also be supported when a third party violates the material integrity and reputation of the trademark owner or applicant of a pending trademark application, as per Article 130 of the Industrial Property Act. Trademark owners may file civil and criminal lawsuits against infringers before state courts. The statute of limitations to file a civil infringement lawsuit, in order to prevent further infringement, is 10 years. Unfair competition crimes are defined in Article 195(III) of the Industrial Property Act and apply to cases of trade dress infringement or infringement of a trademark pending registration. Although Brazilian law grants exclusivity only to registered trademarks, it also provides remedies to parties that do not hold a trademark registration, especially under competition law and mechanisms that protect well-known marks. In addition, there are some important rules and administrative regulations involving trademarks. The Brazilian National Council of Self-Regulation of Advertising approved the Brazilian Self-Regulation Code that establishes, among other rules, the ethical standards for the advertising sector, which protects advertisers and consumers in Brazil. Similarly, the purpose of the Brazilian Consumer Protection Code is to provide full protection to consumers by regulating behavioural and procedural aspects and setting out the rules for market operation which ultimately involve trademark issues. The Internet Civil Regulatory Framework (Law 12.965/2014) is also an important statute concerning online trademark infringement. The Industrial Property Act sets forth that the National Agency of Sanitary Surveillance (ANVISA) must enquire about medicines trademarks. ANVISA is the Brazilian regulatory agency in charge of approving and supervising food, cosmetics, tobacco, pharmaceuticals, health services and medical devices, among other duties. Article 334 of the Code of Civil Procedure sets out the pre-trial conference by the parties to a dispute, unless the court decides otherwise. However, the settlement of the case will not be required if both parties reach an agreement. Article 165 of the code also provides for the establishment of mediation and settlement centres. Arbitration proceedings are governed by Law 9.307 (23 September 1996). According to Article 4(1), the arbitration clause must be in a written form, either in the main contract or another document relating to it. Trademark disputes are not usually referred to arbitration. However, IP agreements and franchising issues are sometimes referred to arbitration. In Brazil, if the parties to a dispute decide to refer it to arbitration, the law establishes that they are prevented from submitting the matter again to the state courts. The Mediation Law (13.140/2015) addresses mediation between individuals as a means of resolving disputes and the self-determination of disputes within the public administration. This law enables the INPI to avail itself of those alternative forms of dispute resolution. The centre is composed of a president, an executive secretary and six advisers. Domain names under the top-level domain ‘.br’ can use the alternative dispute resolution system established specifically for them. The Administrative System of Internet Conflicts (SACI) was inspired by the Uniform Domain Name Dispute Resolution Policy of the Internet Corporation for Assigned Names and Numbers. Under SACI, a domain name may be cancelled, transferred or maintained by a panel made up of one or three panellists. The proceedings are held in Portuguese and managed by institutions accredited by NIC.Br (the entity in charge of administrating the ‘.br’ domain). However, SACI’s decisions may be challenged in court. Under Brazilian Superior Court precedents, trademark litigation may be classified in accordance with whether the registered trademark has been granted to different trademark owners. Such a situation infringes the Brazilian Industrial Property Act. Thus, the aggrieved party (plaintiff) must file the lawsuit with the federal courts to discuss a commitment to cease and desist use of the trademark where there are specialised IP judges in the first circuit and appeal court. However, if the infringer has no trademark registration or trademark application, only the state courts have jurisdiction to decide on the cessation. In such a case, since the litigation is under prosecution in the state courts, the aggrieved party (plaintiff) may file a claim for damages. There are state courts specialised in intellectual property in Sao Paulo (in the first circuit and appeal court), Rio de Janeiro (in the first circuit only) and Rio Grande do Sul (in the appeal court only). As the wealthiest states, Rio de Janeiro and Sao Paulo are the most important venues for infringement lawsuits. The Code of Civil Procedure provides that civil infringement lawsuits must be filed with the venue where the defendant has its head office. However, there are some exceptions to this rule. If the plaintiff collects evidence that the infringement is being committed in a different venue, the lawsuit may be filed with that venue. If the dispute arises out of a contract that contains a choice-of-law clause, this clause may be applied as an exception to the general rule as well. In Brazil, a criminal lawsuit may be filed against the trademark infringer according to the Industrial Property Act. There is no jury or bench involving trademark issues. The most common civil remedies are search and seizure, a restraining order to cease the infringement under penalty of a daily fine, product destruction and recovery. The aggrieved party need not show evidence to obtain damages; it must only prove the infringement and may seek an award for pain and suffering and pecuniary damages. Article 209 of the Industrial Property Act (9279/96) establishes no conditions to recover pecuniary damages from the defendant or for showing evidence for the actual loss. An unfair competition conduct causes a substantial reduction in a victim company’s turnover. The damage is therefore presumed and accordingly redress is authorised. Similarly, non-pecuniary damages are presumed. the compensation that the infringer would have paid to the trademark owner if the parties had executed a licencing agreement. Regarding an award for pain and suffering or non-pecuniary damages, there is no need to objectively investigate whether a defendant’s alleged misconduct was able to cause pain and suffering, since it is presumed and added to the unlawfulness that results in the punitive and dissuasive features that also support pecuniary damages. Preliminary and permanent injunctions are available in both infringement lawsuits and actions for annulment. The legal requirements for an ex parte injunction are set out in the Code of Civil Procedure and the Industrial Property Act. In other words, there must be a high probability of success in the lawsuit in view of strong evidence collected by the plaintiff regarding its rights and the infringement at issue, and there must be a danger of irreparable or difficult-to-repair harm if the sought relief is not promptly granted. Injunctive relief is available ex parte, but the court usually waits until the defendant presents its answer and then decides on the injunctive relief sought by the plaintiff. Article 369 of the Code of Civil Procedure rules that the parties have the right to use all legal and morally legitimate means, even if not specified in that code, to prove the truth of the facts on which the claim or defence is based and to influence effectively the findings of the judge and the latter, on their own motion, or at the party’s request, will decide on the required evidence for trial on the merits. Usually the decision determines the production of evidence by means of documents, agreements, photos and internet images. This last instance requires the execution of a notarial act. The notarial act is governed by Article 384 of the Code of Civil Procedure and establishes the existence of and how a fact can be certified or documented to exist at the interested party’s request by means of a notarial act. Contrary to common law jurisdictions, there is no discovery phase in Brazil and parties are not required to submit evidence requested by the other party, unless the court orders them to do so. Evidence held by the other party or a third party may be sought by the plaintiff through an injunction ordering the party to provide the evidence that it holds or to start an early production of evidence procedure before beginning the main lawsuit. In general, plaintiffs are not allowed to amend their complaint briefs after the defendant has been summoned. However, if there is a motion for preliminary injunction to collect evidence, the plaintiff may amend its complaint once the injunction has been granted. The parties are not allowed to present new evidence at second instance, unless the purpose of that evidence is to demonstrate new facts that occurred after the filing of the appeal. Surveys may be useful in cases that require evidence to establish whether there is a likelihood of confusion or confirm secondary meaning or dilution of a trademark. Surveys may also be instrumental to prove that a trademark is well known in a specific field and thus deserves the special protection granted by Article 6bis of the Paris Convention. Surveys are mandatory in administrative proceedings seeking a declaration of highly reputed trademark and are also important in lawsuits challenging decisions rendered by the INPI in this regard. A court seldom orders the production of evidence by means of a survey. Generally, surveys are provided by the parties which commission them from expert local companies. Notwithstanding, as with any other type of evidence, the judge will decide on the need for or importance of survey evidence, although the plaintiff can file an infringement action jointly with survey results from the beginning. to prove the principle of specialisation. Under the principle of specialisation, the protection enjoyed by a mark is limited to the goods and services for which its registration was granted. In such cases, the court may order for similar marks to coexist if the arguments are demonstrated. In cases of trademark infringement and unfair competition, the lack of distinctiveness of the prior trademark and lack of confusion between the marks are important defence issues. In order to demonstrate these claims, the defendant may argue that there are other similar trademarks peacefully coexisting in the same or similar market. This argument emphasises that such a trademark lacks distinctiveness. In trade dress cases, defendants can try to show that their trade dress follows a pattern set by their own market and thus that consumers do not realise the distinctiveness of the plaintiff’s trade dress. Parties are also allowed to submit counterclaims. The new Brazilian Code of Civil Procedure tries to reduce the possibility of filing interlocutory appeals (something that was much criticised in Brazil in the past). However, this has proved to be difficult because Brazil adheres to the constitutional principle of ‘double jurisdiction’, which determines that all parties involved in the process have the right to appeal the first-instance court decision to a higher court. Under state jurisdiction, a first-instance court decision on trademark infringement may be appealed to the designated civil chamber of that state court. As for federal jurisdiction, the decision on trademark actions for annulment rendered by a federal judge may be appealed to the Regional Federal Appellate Court in the specific circuit court. The parties may appeal against decisions on the merits rendered by the first-instance court. The appeals are heard by three judges. In case of divergent opinion, two more judges participate in the trial hearing. This is the stage of the appeal in the second judicial instance. If a party believes that a second-instance decision infringes a provision in a non-constitutional law or differs from precedents in a similar case, it may appeal to the Superior Court of Justice. This court is located in Brasilia and is responsible for the standardisation of non-constitutional law. Although Superior Court decisions are generally not binding on other cases, they do carry a lot of weight and provide some guidance to the lower courts in a way that works as persuasive precedents. A party may file an extraordinary appeal with the Federal Supreme Court. This unusual situation deals with a second-instance decision that has violated a constitutional law provision. Cesar Peduti F is a lawyer and IP agent. He has worked for more than 18 years on IP and IT matters, providing prosecution, consulting and litigation services related to trademark, patent, copyright, software, unfair competition, transfer of technology, technical assistance agreements and business strategies related to such rights. Mr Peduti has a law degree and an LLM in intellectual property. He is an entertainment law specialist and tax specialist in IP and new technologies. 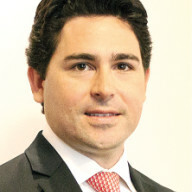 He is a Brazilian Bar Association member; a social director with the Access to Specialised Patent Information with the Sao Paulo Association of Intellectual Property; an associate at the International Trademark Association, the International Association for the Protection of Intellectual Property, the Italian Chamber of Commerce, the Brazilian Licensing Association, the Brazilian Intellectual Property Association and the Association of Corporate Law Firms. Pedro Zardo Junior is a lawyer. For more than 15 years he has worked on IP matters and IP litigation, including trademarks, patents, copyrights and unfair competition, as well as analysis of strategies to protect IP rights in Brazil and abroad. 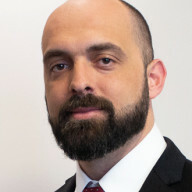 Mr Zardo Junior has a law degree from Faculdade de Direito de São Bernardo do Campo (2003) and an LLM in intellectual property from the Fundação Getúlio Vargas law school (2009). He is also a member of the Brazilian Bar and a lecturer in courses against piracy promoted by the Federation of Industries in the State of Sao Paulo and the National Forum Against Piracy and Illegality.